Take a flight to Titan. Take a flight on Titan. Stay forever and live as an Angel. Lerman and two classmates factored in the density of air at the surface of Titan, gravity, and the ratio of the path of the air above the wing to that below the wing. The students calculated that a person would need to run at a speed of 36 feet per second (11 meters per second) if they wanted to take flight wearing a normal-sized wingsuit with an area of about 15 square feet (1.4 square meters). That running speed is quite daunting considering that Jamaican sprinter Usain Bolt, the fastest man on Earth, achieves speeds only slightly higher (just over 40 feet per second, or 12 m/s). To lift off by running at a more manageable speed of about 20 feet per second (6 m/s), a person would need to wear a more unwieldy wingsuit with a surface area more than three times larger than the normal size, the students said. Their paper was published in the University of Leicester’s Journal of Physics Special Topics, which features short articles written by students to help get them acquainted with the peer-review process. Many of the papers test bizarre or pop culture-inspired scenarios, such as an article published last year that examined what traveling through hyperspace would really look like. For extra credit, update the terrestrial math on the required morphology here for the posthuman near future life on the Saturnian retreat. A functional wing is, sadly, out of the question. Humans lack the shoulder joint and massive muscles that millions of years of evolution gave modern birds. Wing loading is another killer requirement. Modern birds need at least a square centimetre of wing area for every 4 grams of body mass, so an 80-kilogram human would need two square metres of wing. But an arm might be converted to a decorative wing. 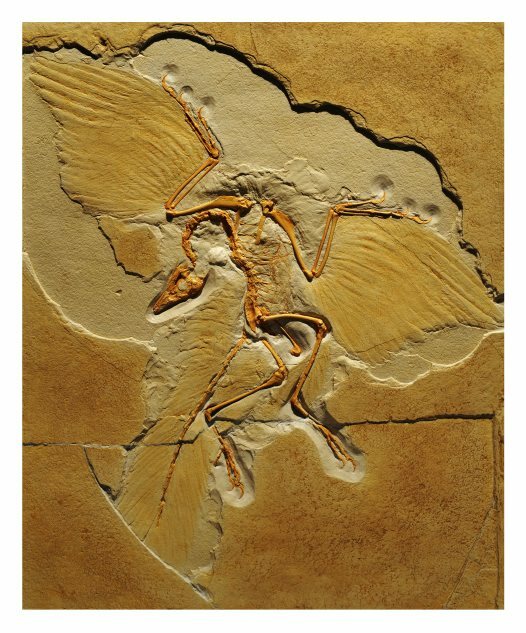 Poore suggests modelling it on the wing of Archaeopteryx, the earliest bird, which had a shoulder much closer to humans than the shoulders of better-flying modern birds. First, fuse the outer set of wrist bones and the hand bones to create a bird-like carpometacarpus, the third bone in a chicken wing. The thumb remains free, like the alula that helps guide bird flight, but other fingers would be fused together. Next, rearrange the muscle and skin to allow articulation of the new bone arrangement. Things get tricky when it comes to feathering the wings. Hair grows in different skin layers to feathers and the two consist of different types of keratin. No one knows how to convert one to the other.